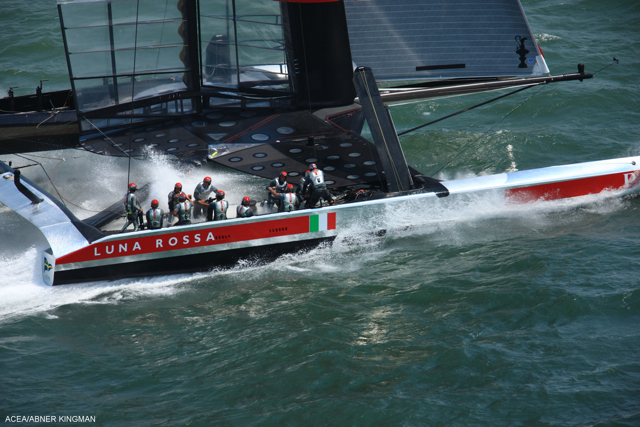 Despite making last minute running repairs to their high tech winged sail just before the pre start, Luna Rossa Challange have notched up their first win in the Louis Vuitton Cup Semi Final series against Artemis Racing. 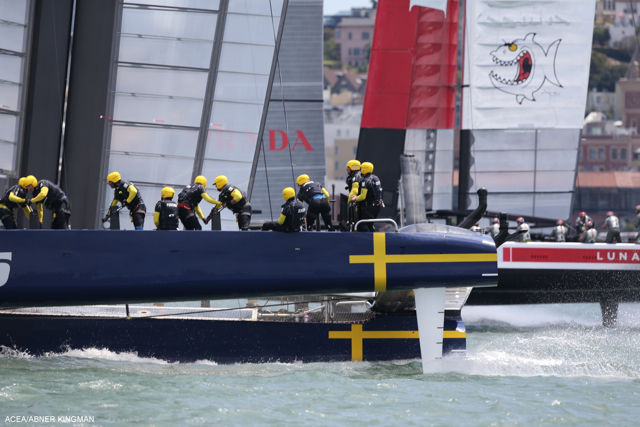 The Italians were a little late to the start line which gave Nathan Outteridge a chance to show off his aggressive style by winning the start and leading the charge to the first mark rounding. But the Australian helmsman wasn't able to hold off his competitors who managed 2-4 knots more boat speed downwind and performed better foiling gybes around the race course. 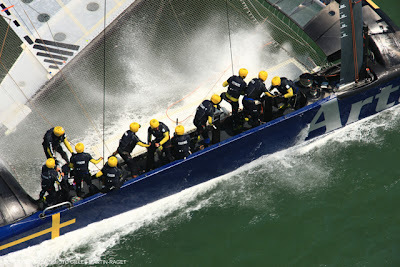 It was one of the closest results so far in the history of the new America's Cup AC72 class boats and despite their loss Artemis Racing have got to be happy with their performance given they have only had nine days of training onboard their new boat since she was launched last month.